Short game golf strategy should be a focal point for every golfer, new or experienced. Often overshadowed by the more glamorous allure of deep drives, developing our short game will ensure our success when we’re unable to rip the ball like a PGA Tour Pro. Important to remember, our short game acts as our means to scoring on the golf course and has a vast impact on our overall golf handicap. 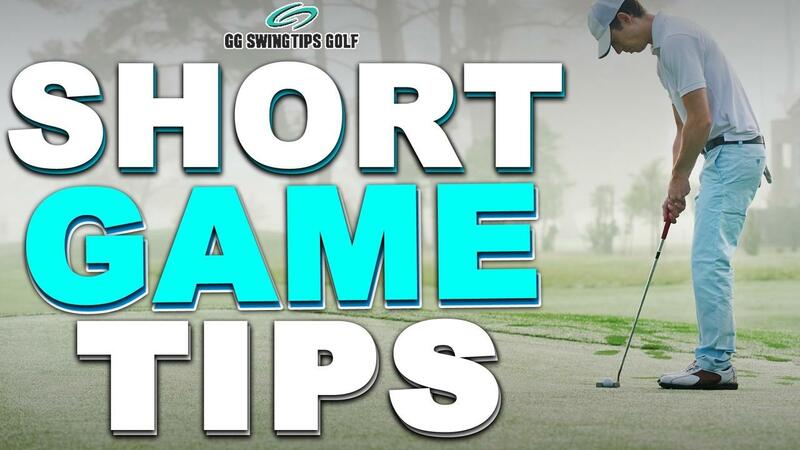 As one could imagine, the countless elements involved in our short game are too numerous to be covered in one simple blog article, but we can identify the best short game golf tips that provide instant improvements on the golf course. Most great putting games have optimal control over their speed and are able to judge their positioning on the green effectively enough to choose the right shot. Nearly half of all shots taken on the golf course are taken while putting. Many of these shots are taken near the hole, precisely illustrating the absolute importance of establishing proper short game techniques. The ability to sink a putt for most golfers begins to diminish quickly as the distance they’re putting from increases, upwards to ten feet away from the hole. Though quite obvious to any golfer, these statistics scream the importance of our ball’s distance from the hole and why developing tactical shots like chips, lags and pitches are vital to improving our overall short game skills. By devoting time to these tactical short game shots, we’ll be able to get the ball much closer to the hole, where our putting game will stand to experience the immediate benefits of our improved short game performance. Golf can be looked at as a game of inches, and every extra foot you can get the ball nearer to the hole will only benefit your overall golfing experience in the long run. A shorter putt taken from 3 feet away from the hole can often determine the success or failure of a player’s entire round. Practicing our putts from such range will refine our putting skills to the point that such putts will become routine for even the most novice golfer. Start this drill by gathering a couple golf balls and two alignment sticks. Placing each alignment stick within 1 inch of the hole’s outer edge, we’ll then begin to take shots into the center of the hole, whole avoiding contact between the golf ball and either alignment stick. Successfully sinking putts during this drill provides a clear indication that our clubface and angle have squared up with our intended target. Squaring up with the target in such way will create more consistency in our short game golf performance and provide the confidence boost needed to recreate such results in actual play on the course. As you become a master of the 3 foot putt, work on extending your distances from further out to advance your putting abilities. On a putt shot taken from a longer distance, our ball will often end up short of goal as our putting stroke will usually sacrifice force in favor of precision. This can be avoided by spicing up your putt with a touch of chipping added on the stroke. When sizing up a long distance putt, posture yourself in an upright position, providing a clearer idea of the distance needed to sink the putt. Applying the same body motion used during a chip shot, the golf ball will roll much closer to the cup, if not sinking the putt entirely because of the added chipping technique to the putt shot. Golfers may feel their stomachs plummet below their knees as their golf ball lands deep in the rough of the green. Players that have established a strategy for such short game obstacles rest easy, knowing that shots from the rough are an opportunity if a golfer knows how to leverage this terrain. First, players will need a substantial amount of speed to free their ball from the rough, but these increased speeds usually result in a shot that travels much farther than normal. By increasing our loft in such situation, a player will still send the ball sailing high, while landing the shot snugly within proximity to the hole, without the threat of overshooting our target. Setting up our shot with an open clubface creates an increased amount of bounce in our shot, improving our ability to take the ball out of the rough without destroying the golf course. Many golfers of varied skill sets never practice their short game golf, and it shows on the course. While religiously working away on hitting full blown golf shots on the driving range, few players take the time to practice the most crucial elements of golfing. Rather than practicing their chip shots or putts, most amateur golfers can be found teeing up their drives. If you’re not hitting greens with these shots and are reliant on short game golf strategy, the only way to get better comes from practicing. Statistically, around 65% of all golf shots taken will land 100 yards in, an area considered to be short game. Since such a high number of balls land in this region, every golfer should take a serious look at how well they’re performing there. Most golfers outside of the PGA Tour’s top strikers will rarely crack a 300 yard drive on the golf course. Because of this clear reality for most, improving our short game will effectively reduce our handicap, though through less flashy means. While not aiming to deter ambitious practice on our driving skills, amateur golfers must be realistic about their strengths and weaknesses, focusing in on how they’re playing now rather than how the hope to be performing in the future. There are several players on any given course who simply write off practicing their putts, in favor of focusing on the long game. Until these golfers are able to sink 20 consecutive putts from 5 feet out, they still have work to do on this most crucial element of their short game golf strategy. Nearly 90% of putts taken from 3-5 feet away from the hole are sure shots for golf pros, which too can be attained by any beginner who commits to practicing their putting. Golfers should experiment with a variety of putting games and drills, aimed at developing their short game from further out as they progress. If you’re sinking 20 putts in a row from 5 feet out, move back 10 feet. If you sink the next 20 putts at 15 feet, move back further. There are countless variations that golfers can apply to their putting drills, all of which will strengthen their short game, and assist in making putts from 3-5 feet away look like a cake walk. With expanded roll and reduced air time, every golfer benefits from having a reliable chip shot in their arsenal of techniques. Having optimal amounts of green to strike on, chip shots are the preferred swing when looking to sink our shot quick and easy. A low loft golf club works best when chipping the ball on the green, though in longer grass additional loft assists due to the angling of the clubface. The height of the grass also impacts the length of our golf swing, as chip shots taken in higher grass will require a longer golf swing in order to reach the hole. If you find your ball has fallen into a depression on the course, a high lofted club can usually do the trick, chipping the ball with a little assistance through modifying the placement of our right foot, closer to the target. When chipping the ball, our weak arm has more control over our swing. With our eyes on the rear end of the ball, our clubface must hit the back dimple of the golf ball on center to ensure proper chipping occurs through impact. Looking for the air time needed to get our ball closer to the hole, pitch shots are the boost every golfer needs in their short game strategy. Considered the nuclear option in the short game of most golfers, a pitch can be a very frustrating shot for even the most experienced player. Many golfers overlook the natural bounce that most pitches provide the golf ball, allowing easy navigation through the grass. With the clubhead in line with our grip in forward motion, the golf club will be less likely to get held up in the turf. Most golfers sacrifice several shots each round because they’re lacking ability in their short game golf setup. By improving our techniques in this area, the elimination of careless mistakes alone will cause an epic reduction in the current level of our golf handicap. While short game alone does not make a great golfer, having these skills in clutch situations will save us from defeat and embarrassment in the event of such scenarios. The vast majority of shots taken on the golf course occur in and around the putting green. Facing the reality that most golfers depend on their short game much more than ball striking alone points to the huge need to focus on these aspects, rather than aspiring to rip 300 yard shots at will. Most golfers cannot make every drive a PGA Tour worthy shot, but through practice and focus, our short game techniques will flourish, leading to lower scores and enjoyable experiences on the golf course. The following short game golf lessons are essential to any player intent on expanding their ability beyond reliance on huge drive shots. One of the most dreaded shots that any golfer takes on the course, playing our way out of the bunker, commonly referred to as a sand trap or sand pit, can make or break an entire round of golf. The frustrations experienced while trying to escape a bunker can lead some to give up entirely, though most difficulties associated with bunker shots can be removed simply through focus and practice. First, golfers must widen their swing stance, similar to the setup most take when preparing to chip the golf ball, shuffling their feet deep into the sand to secure more stability in their footing. Next, ensure your club face has opened up and faces upward, which will create a high degree of stability. With your hips and feet aimed towards the left of your target (opposite for left handed golfers), make sure that your club face aims towards the right side of the flag. Position your hands slightly lower on your golf club grip as this placement will guarantee increased control over the bunker shot. Taking position somewhat in front of the midpoint of our stance, the ball should sit directly center if a line were drawn to divide our stance into halves. Depending on where your ball has landed within the bunker, a full swing may not be required due to a closer proximity to the hole. The same adjustments that we make concerning chips and pitches should be applied when setting up and preparing to take a bunker shot. Accelerating through the golf swing into the golf ball will yield the most favorable results. For golfers prone to decelerating swings, it would be wise to ensure that one third of our swing takes shape in the backswing with the remaining two thirds focusing on the ever crucial follow through in our swing. Our initial read on the green should happen slightly far out, as we move towards the green after our approach shot has landed. During the initial walk up, golfers should gauge the lie of the land, looking for sloping areas and any other obstructions that may be an obstacle in their short game. Crouching down to ball level will provide the clearest insight when judging how many breaks await your eventual putt. Consider walking the entire distance of your putt shot, pausing to judge the perspective as it appears from behind the hole. Using several angles to view the path our putt shot will travel provides a more realistic idea of how the shot will play out once taken. Be also mindful of the second portion of the putt shot you’re about to take. Breaks and slopes have a tendency to wield a heavy influence over the ball during the second half of our putt as the golf ball would have slowed down quite a bit compared to the first half of the shot. When dealing with slope on putt shots, many golfers line up their putt after choosing to aim for a target that appears to exist at the top of the slope, which then serves as the focus of their putt going forward. Often elusive to several golfers, short putts have a tendency to trick the player into a relaxed state, only to miss the shot due to increased confidence. In this drill, we first drive the tee peg behind the hole, right above where the plastic cup sits, allowing the peg to be about 1 inch above ground. This will provide a clear visual marker to aim towards, in all likelihood causing the ball to sink in the cup even if slightly off course towards the peg. When practicing on the golf course, choosing a clear marking to shoot and aim at near the back of the hole will provide the same results. the tee peg fully into the ground, which should assist golfers in correctly striking the ball, regardless of any minor imperfection on the turf leading to the hole. Several professional golfers find short game drills of this nature valuable as a real self esteem builder, giving the player a boost in confidence regarding their ability to sink short putts. The most dreaded section of any golf course for many golfers, bunkers, commonly referred to as sand traps are nothing to fear. Often the #1 contributing factor to an ineffective bunker shot first manifests in the worrisome nature many golfers conjure into their minds before ever swinging their golf club. Having a negative outlook towards golf shots you have yet to take will almost always result in less than desired results. Many golfers need only to understand the mechanisms in play during a bunker shot to realize these playing conditions, though more difficult than other sections of a golf course, have their own advantages to be leveraged. Choosing the correct golf club for your bunker shot has several factors to consider before an educated decision can be finalized. If you’re working with a very little amount of green, choosing a wedge with an increased amount of loft will be the best club for a successful bunker shot. Using such club will prevent the golf ball from rolling excessively through the shot. A wedge with low loft will work best in a bunker shot that benefits from a decent amount of green to work with. Using such club in the correct bunker situation will create an extended flight for the ball, sending it sailing out of the sand trap. Several golfers approach the sand trap with a negative outlook on the impending bunker shot, which immediately puts their swing at a disadvantage. How well can a setup be if you’re in a horrible mood while working through it? It’s best to approach such shots with confidence, which will be especially easy after viewing the video included above this article. Creating a solid base for our bunker shot serves as the first step of our setup when hitting from the sand trap. Golfers can achieve a solid foundation for their shot by twisting both feet into the sand below them, crucial to gauging the depth of the sand around the area that they’ll be taking their shot from. Once solid footing has been achieved, we must establish an open stance that also opens up our club face. Opening our stance and clubface to the bunker shot will increase the height for the flight path of our ball, while providing an excellent angle that will allow our clubface to scoop beneath the golf ball. We then must distribute around 80% of our body weight to our lead foot, crucial to digging the ball out of the bunker and adding the backspin needed to solidify the shot. After having previously established good controls during the setup of our bunker shot, we can now focus on the moment of truth - our golf swing. Swinging effectively in the sand trap requires a golfer to swing outside-in, allowing their wrist to pivot on the top of the shot. The severity of the pivot will vary based on how deep your intend to make the golf ball travel. Taking a golf shot with this swing path will enable the ball to fly high while still maintaining the maximum amount of control. As with anything in golf, practice, patience and dedication will assist in making our bunker shot golf swing less of an exercise and more natural in the long run. Following through on our bunker shot requires staying down for an extended period of time, atypical of most golf shots taken in other sections of the course. Stopping our acceleration upon impact will often diminish the success of our shot. Many golfers benefit from taking a larger swing than usual in the sand trap, as the sand prevents the ball from traveling great distances despite the increased size of our swing. In addition to setting up your swing for success in the sand trap, golfers should consider improving other elements of their swings to ensure a great bunker shot comes off. Add flexion to your legs in order to guide the ball out of the sand trap. By bending the leg on our trail side, we’re able to maintain posture throughout our golf swing. 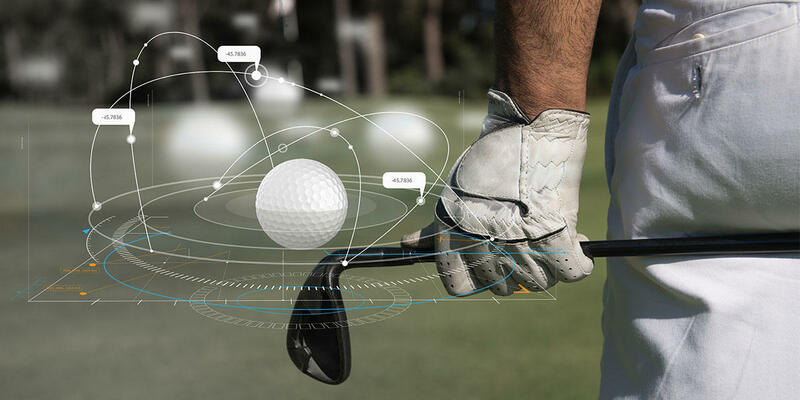 We are dedicated to providing golfers with a range of educational articles, relating to improving their overall golfing experience from any playing level. Be sure to look through our blog archive for additional articles to expand your abilities. There are hours of free video golf instruction available at our popular YouTube Channel that teach golfers of all skill sets how to create excitement on the course. Take a Look at The "Famous Pivot & Turn" Lessons for Free Before You Buy.